Tips, Tricks, Examples of Glow Blog use (Glowing Posts) and other news. The Glowing Posts get added to this blog with the syndication plugin. 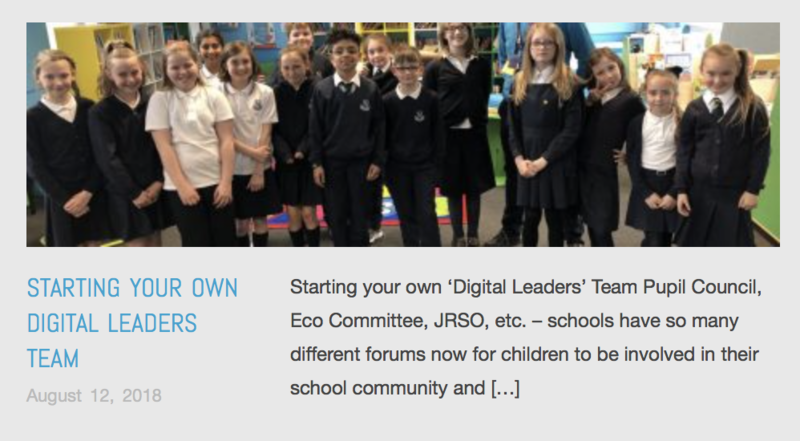 This is just one post from Malcolm Wilson’s blog which is jam packed with detailed posts about using ICT in the classroom. 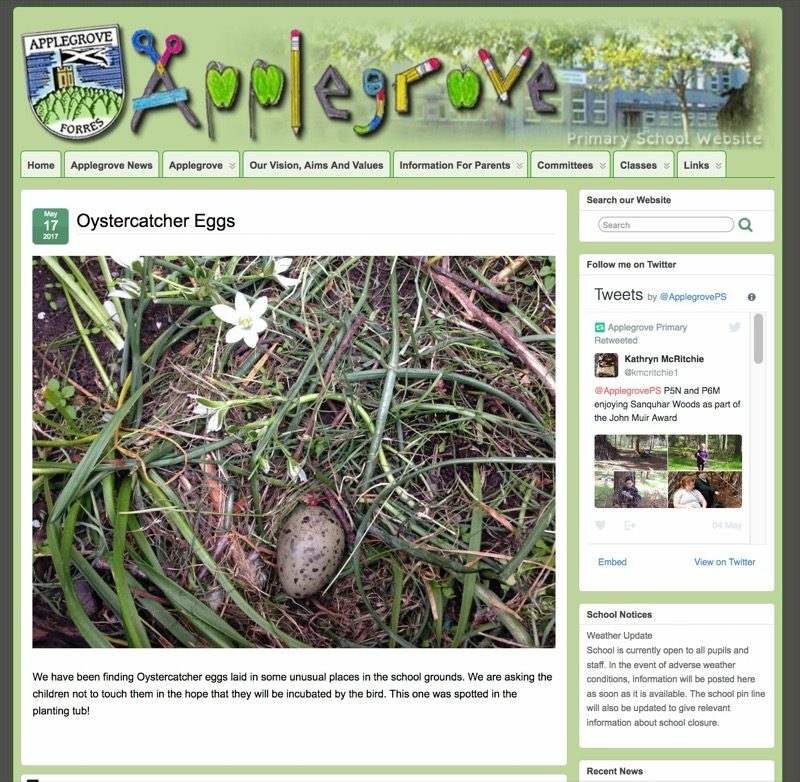 This blog is maintained by Malcolm Wilson, ICT Curriculum Development Officer for Falkirk Council Children’s Services. 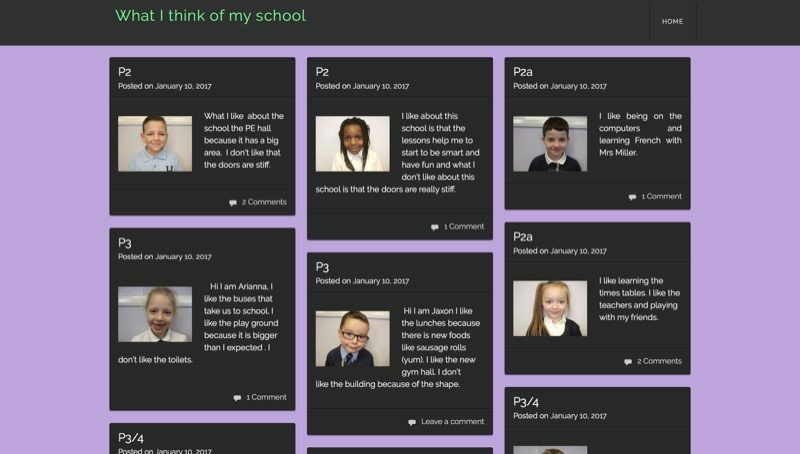 The purpose of the blog is to help support primary teachers within Falkirk primary schools in their use of ICT across teaching and learning. This tool-box is a life saver! I use this tool-box almost every day and is an essential part of my work. The box has multiple compartments that keeps everything organised. This allows me to keep different types of tool can be stored and retrieved easily. Daniel’s blog subtitled “A focus on the traditional style of Blacksmithing” shares his journey and the work that he he producing. 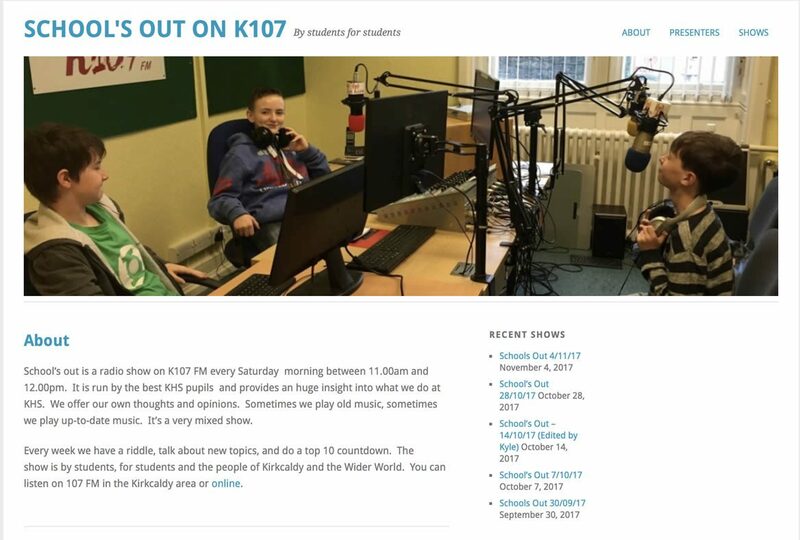 School’s out is a radio show on K107 FM every Saturday morning between 11.00am and 12.00pm. It is run by the best KHS pupils and provides an huge insight into what we do at KHS. We offer our own thoughts and opinions. Sometimes we play old music, sometimes we play up-to-date music. It’s a very mixed show. Every week we have a riddle, talk about new topics, and do a top 10 countdown. The show is by students, for students and the people of Kirkcaldy and the Wider World. You can listen on 107 FM in the Kirkcaldy area or online. 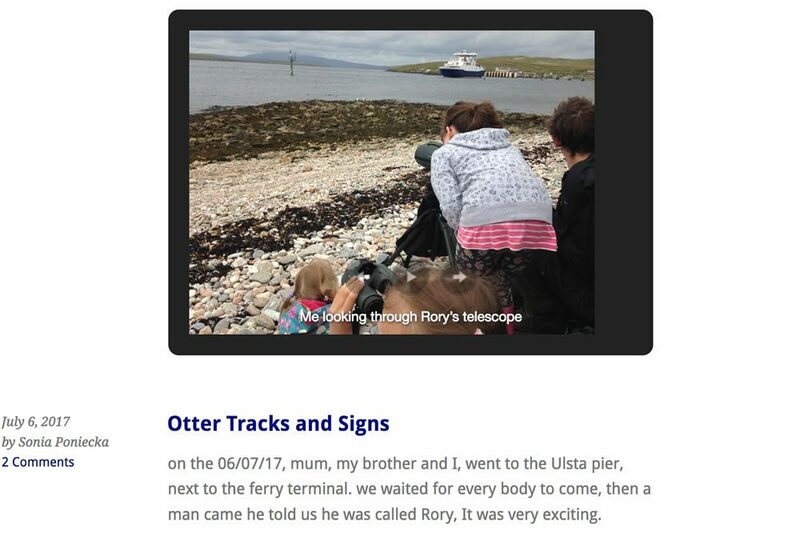 Otter Tracks and Signs is a holiday post by a pupils at Burravoe Primary School. It gives tips for finding otters and a recount of seeing one. It is lovely to see primary pupils posting about their learning during the holidays. Yesterday, we were inspecting the hive and I noticed that the bees were all surrounding the queen cell and chewing away the wax. This is what they do when the queen is about to hatch and they help her to escape. 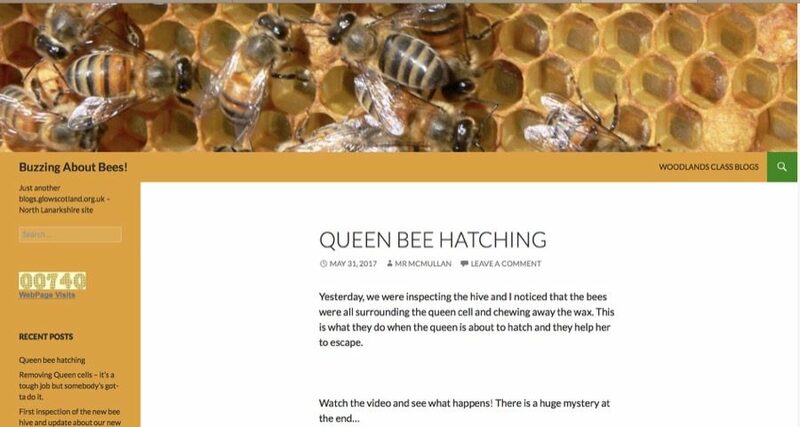 From Queen bee hatching | Buzzing About Bees! What a brilliant buzzin blog, all about the schools bee hives. Some great videos, lots of information. Posted by the Mayberry Police! Well done to all of our school investigation teams for visiting the Mining Museum to help us solve this terrible crime. Many theories and ideas were shared last week between each group and I am hoping with your expertise we can find the culprit. 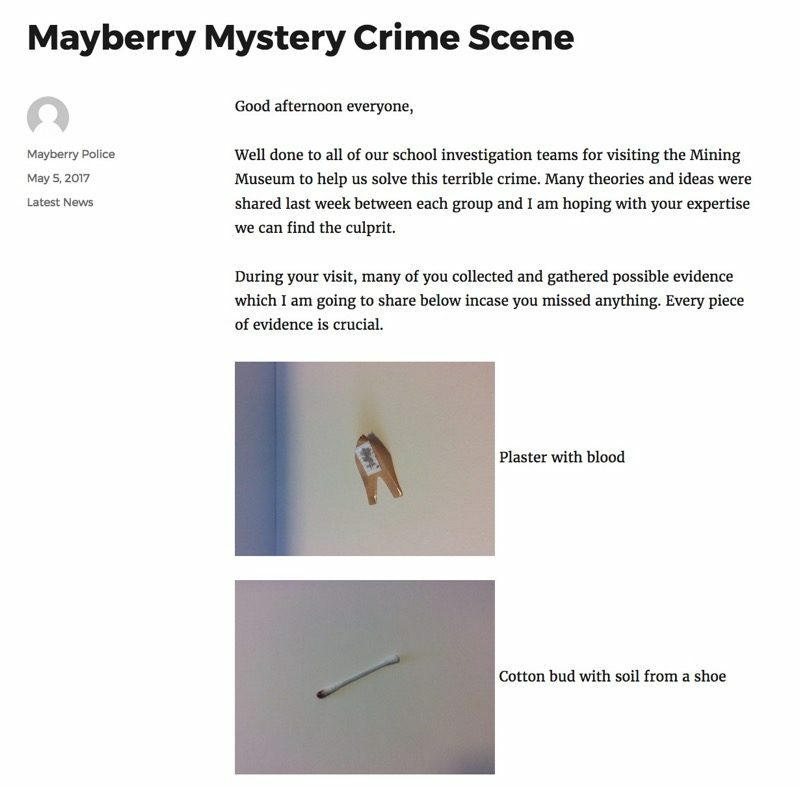 During your visit, many of you collected and gathered possible evidence which I am going to share below incase you missed anything. Every piece of evidence is crucial. Inspirational Learning Spaces – Learners leading learning in Midlothian is a intriguing blog name, worth checking out. We have been finding Oystercatcher eggs laid in some unusual places in the school grounds. We are asking the children not to touch them in the hope that they will be incubated by the bird. This one was spotted in the planting tub! One of the more unusual posts I’ve seen on Glow blogs. I like about this school is that the lessons help me to start to be smart and have fun and what I don’t like about this school is that the doors are really stiff. This blog consists of short posts like this, giving voice to pupils about their school. Sing alang tae the langest sang! This is a lovely idea, classes are invited to join in with writing verses for classic Scots children’s song, The World Must Be Coming To An End.